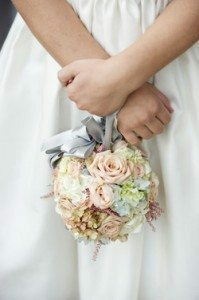 So easy to make and customise to your wedding colours and bonus, a neat keepsake for after the wedding. 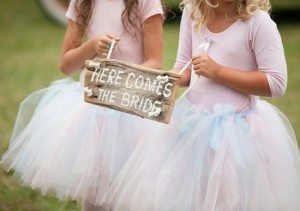 Something a bit different and quirky- perfect for a garden ceremony. A flag printed with a saying of your choice is something a little bit different. The now becoming a classic 'Here comes the bride' sign, always bringing the cute factor up a notch. 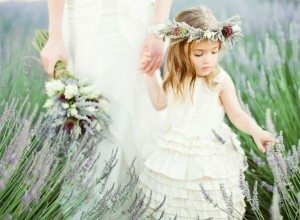 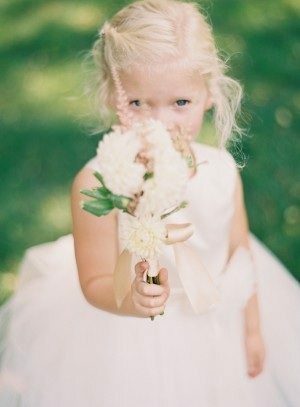 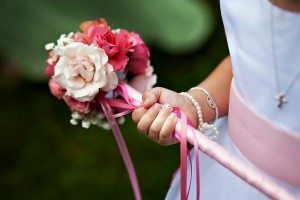 Nothing like a little bouquet to make your flower girl feel like a mini bride. Here ye here ye! 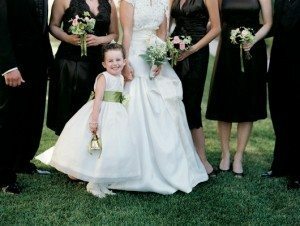 Would give me a bit of a giggle to see this flowergirl walking down the aisle with a bell. Nothing says ethereal like a floral circlet. 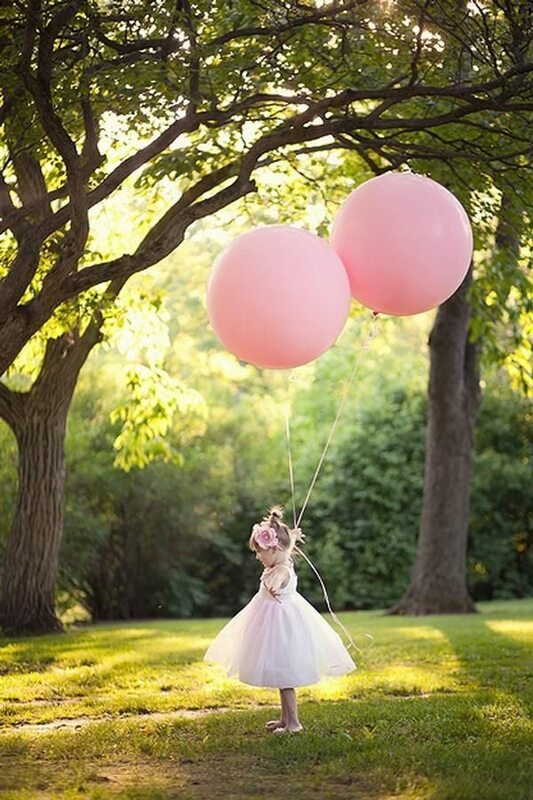 Little flower girls look just adorable carrying pomanders down the aisle. 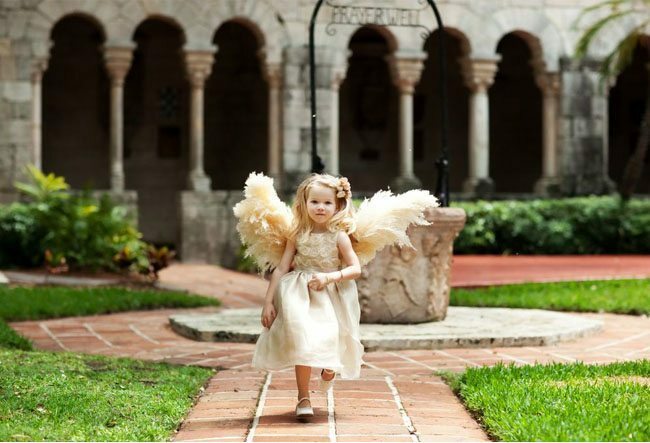 How about having an angel make her way down the aisle? 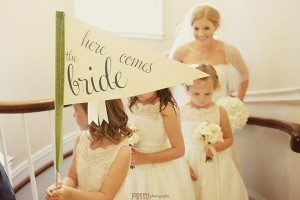 Not just a great photo prop! 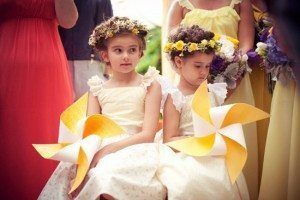 For a little bit of fun try giving your girls pinwheels to take with them down the aisle. 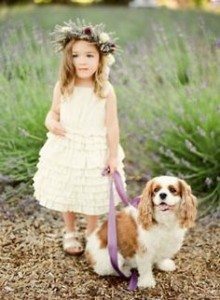 If your having your four legged friend a part of your ceremony then why not make your guests go doubly gaga by having your flower girl walk them down the aisle. These floral wands are the perfect median between fairy wands and bouquets. 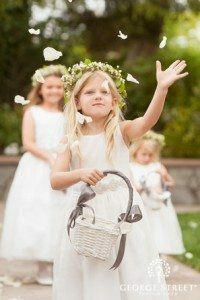 How could we go past the traditional petal toss? 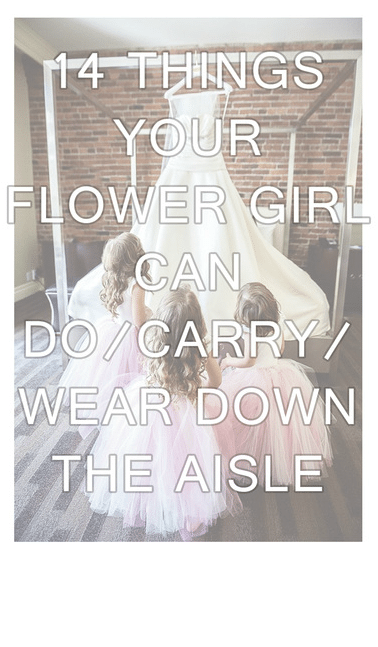 You can never go wrong here.